Swan Creek District is made up of over 50 great Scouting units. 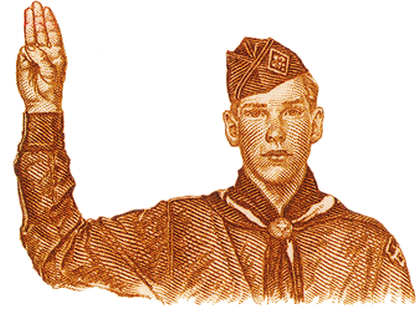 These include Cub Scout Packs (grades 1-4 and the Fall of 5th grade), Boy Scout Troops (Spring of 5th grade up to the age of 18), Venturing Crews (for young men and women age 13 and above who want more adventure and activity), Ships (for those interested in the nautical side of Scouting), and Exploring Posts (with a focus on career preparation in different fields). The mission of the Boys Scouts of America is to prepare young people to make ethical and moral choices over their lifetimes by instilling in them the values of the Scout Oath and Scout Law. Scout Oath: On my honor, I will do my best. To do my duty to God and my country and to obey the Scout Law; To help other people at all times; To keep myself physically strong, mentally awake and morally straight. Come and join us at the monthly round table meeting to learn more about the Scouting program in our area and interact with local Scout leaders. Meetings are held at Providence Lutheran Church in Holland. See times in the calendar below. Have you had recent change in your Key Leadership? Update your contact information here. To your unit's Friends of Scouting presentation click here.